Great install, fast and neat. Dealer cleaned area and gave us excellent instructions for the use and care of our new screen. Front double door screens.....Top quality, professional installation and great service. I would highly recommend this company. Turn your home into an oasis with Retractable Screen Systems by Retractables, Inc.
Retractables, Inc. is Southwest Florida's premier supplier of Retractable Screen Systems for your home or business. Rick Michel is the owner of Retractables, Inc. Rick has 18 years of retractable screen experience in Southwest Florida. He has installed thousands of retractable screens. Sliding screens and disappearing screens are other descriptions for the low profile, easy to use retractable screen door. Rick served an apprenticeship if you will, installing Phantom Screens. After four years, Mirage Retractable Screens came into his life. During the twelve years of installing Mirage Screens, Rick also was a dealer for Breezy Screens, Genius Screens, Stoett and Clear View Screens. Let his experience help you! 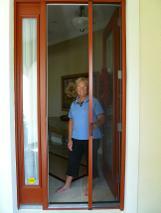 Try our custom fit, low profile, color to suit your decor, retractable screens for virtually all your exterior doors. 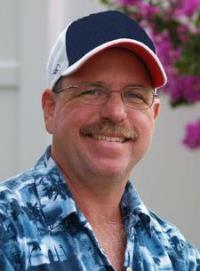 Ask Rick for a free phone quote, followed by a free in home visit to show product samples and color.